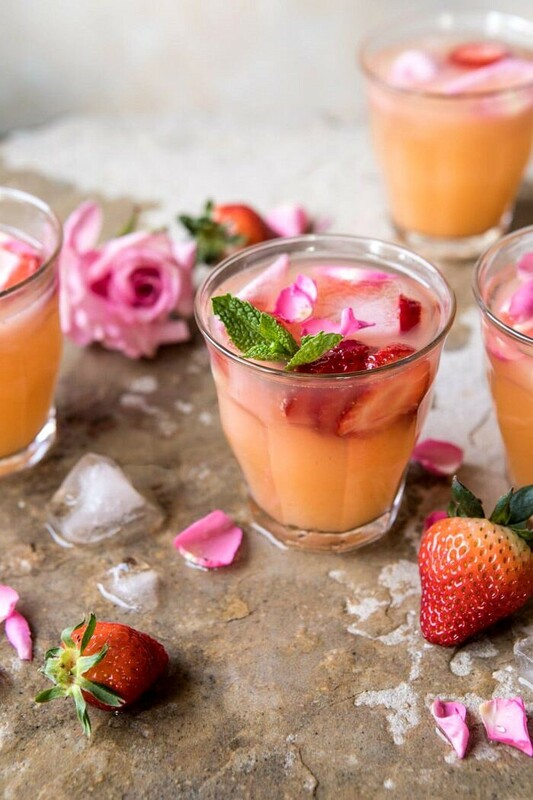 Spring is in the air with these Minted Orange and Strawberry Coolers. Happy Saturday, everyone! It’s hard to believe, but this is my first Cocktail Saturday post since the holidays! I shared so many cocktails over the months of October, November and December, that I think I just needed a break for a minute. 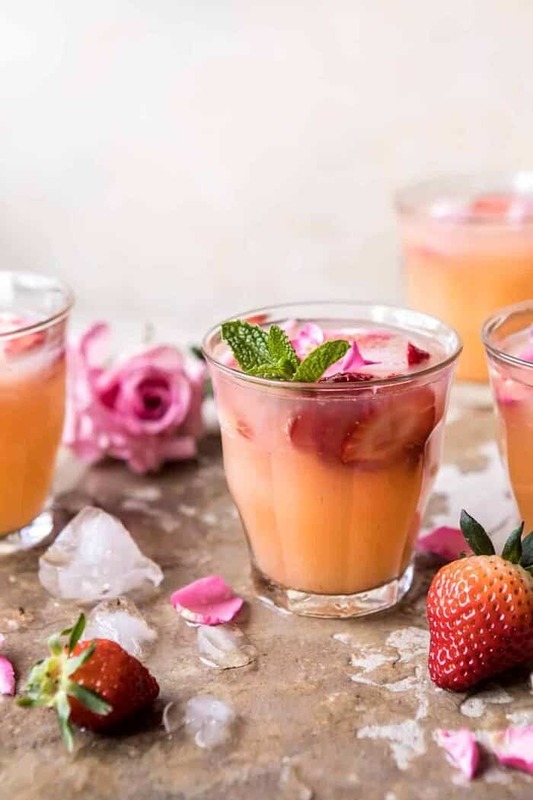 But I’m excited to be back and sharing a spring-inspired drink that’s perfect for everything from tomorrow’s Easter celebrations, to Mother’s Day, and even on into all the summer BBQs. It’s probably no secret, but I might be a smidge obsessed with spring strawberries. 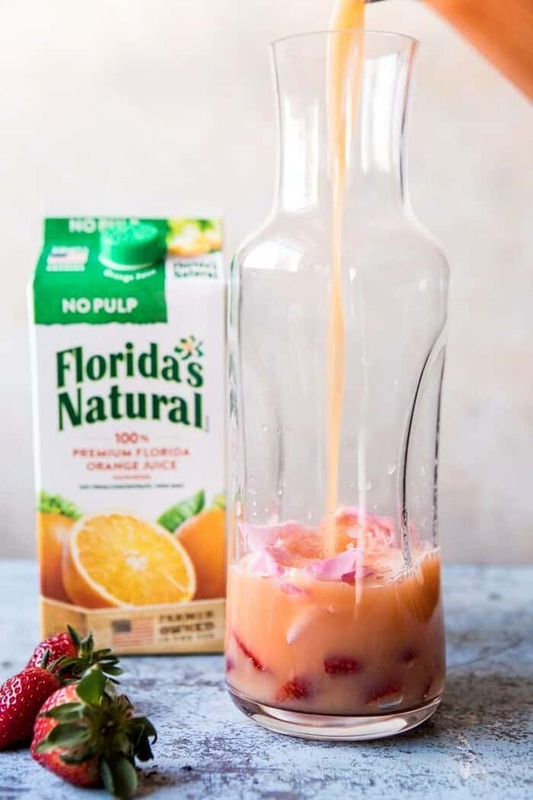 I’ve shared multiple recipes featuring strawberries this month, but this refreshing drink combines not only fresh strawberry flavor, but also another favorite of mine: Florida’s Natural® Brand Orange Juice. It’s the perfect citrus-y blend, and ok, I kind of love the pastel color this drink has, too. These coolers could not be more perfect for spring, and of course Easter, which I can’t even believe is tomorrow! First, I will be over on Facebook and Instagram Live today showing you all just how easy it is to make this fun and refreshing drink. If you want my tips and tricks, be sure to tune in on Facebook at 10:00 am Mountain Time. I’ll be making these coolers, attempting to look like I know what I am doing, and doing my best to multitask and answer all your questions as well. It’s going to be fun! Update: you can watch the live video here. With Easter being tomorrow, I can’t stress enough just how much you need these coolers in your life. Not only are they delicious and pretty, but they make entertaining and serving up drinks effortless. Let me explain. Seeing as no one wants to stand and play bartender at their party, I created this pitcher style drink that could not be easier to put together. Here’s how this goes. 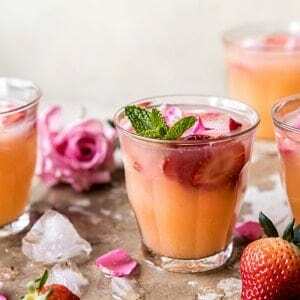 Start off by muddling some fresh strawberries together with a little mint. Add my favorite Florida’s Natural® Brand Orange Juice, some lemon juice, and a splash (or two) of vodka. Finish with a handful of rose petals and sweet sliced strawberries and you are done. Chill the pitcher until ready to serve and then top off with sparkling water. Simple and pretty, sweet and refreshing…trust me, everyone’s going to love this. I actually made this cooler a couple of weeks ago when my aunts, uncles and cousins where all in town visiting. I served this while everyone was waiting for dinner and it’s safe to say that my supply was gone within minutes. 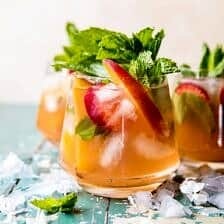 Granted, we had around twenty people visiting, but everyone loved this citrus-y punch and we all agreed that it’s the perfect tropical drink for a celebration. Speaking of celebrating, my family and I don’t have big plans for Easter, but I’ll be cooking and serving up this cocktail for any and all who decide to make an appearance (because you never know who you’ll get around here). 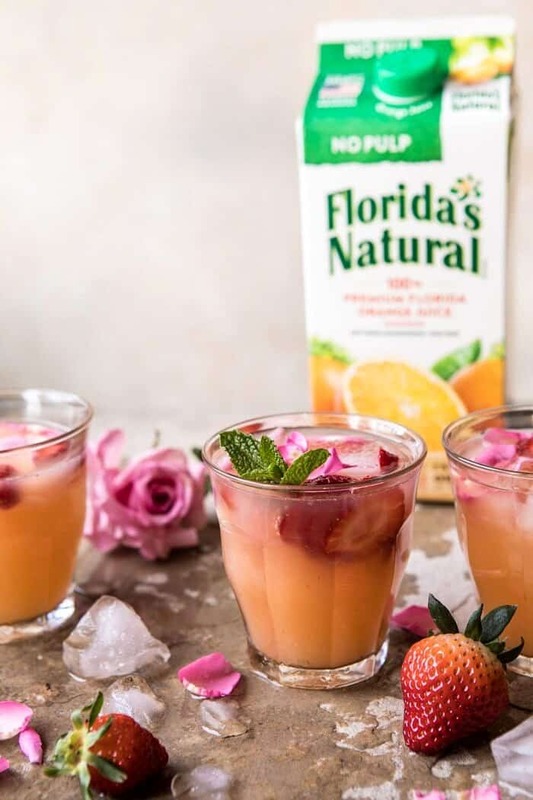 And even though I’m dreaming of spending Easter in tropical Florida, at least I have this orange cooler made with 100% Florida-grown orange juice to bring the tropical vibes all the way on up to Colorado. I’ll take it. 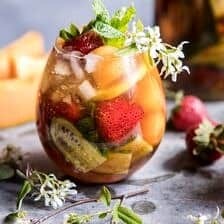 Seeing as no one wants to stand and play bartender at their party, I created this pitcher style drink that could not be easier to put together...simple, pretty, sweet and refreshing! 1. In a bowl, combine 2 cups strawberries and mint leaves. 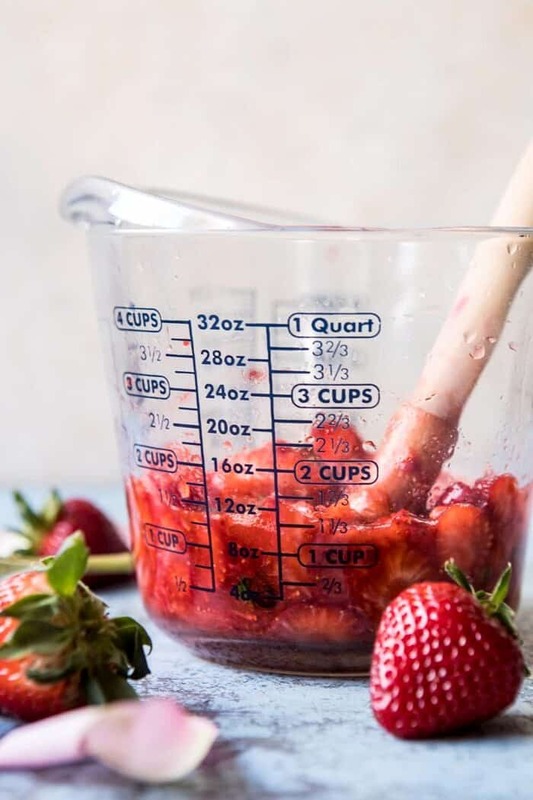 Using a muddler (or even the end of a rolling pin), gently push the strawberries down until they release their juices and become mashed. Strain the mix into a large pitcher. Add the orange juice, lemon juice, and vodka, if using. 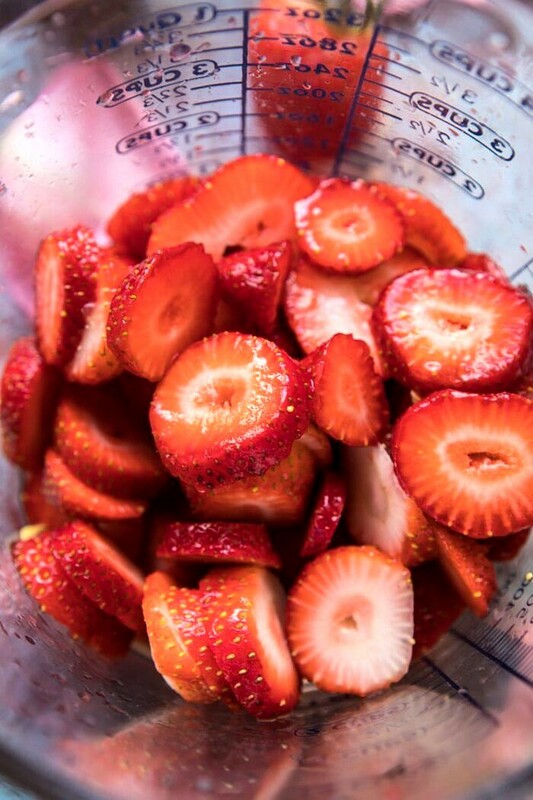 Stir in the rose petals and remaining 1/2 cup sliced strawberries. Serve or chill until ready to serve. 2. To serve, pour over ice and top with sparkling water. 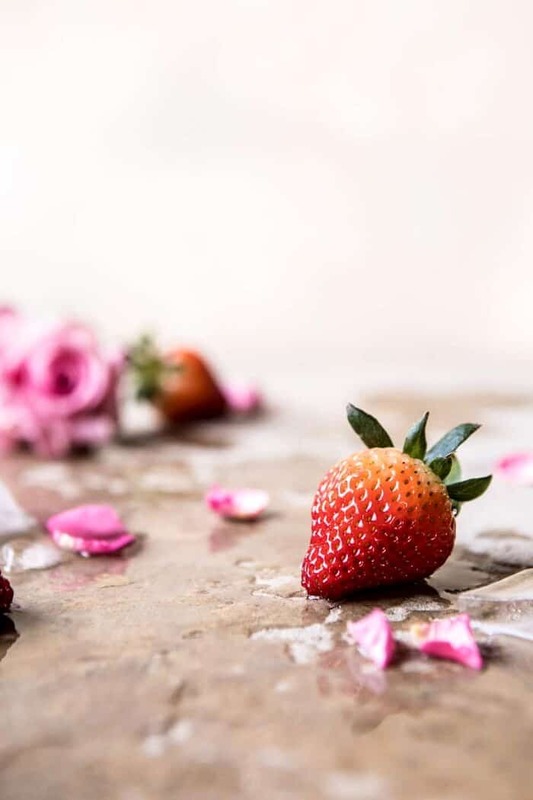 Garnish as desired with fresh mint, strawberries, and rose petals. Enjoy! If fresh roses are not available or you prefer to not use them, they can simply be omitted from the recipe. Have a great weekend and Easter! Sun-Dried Tomato Muhammara (Roasted Red Pepper Spread). 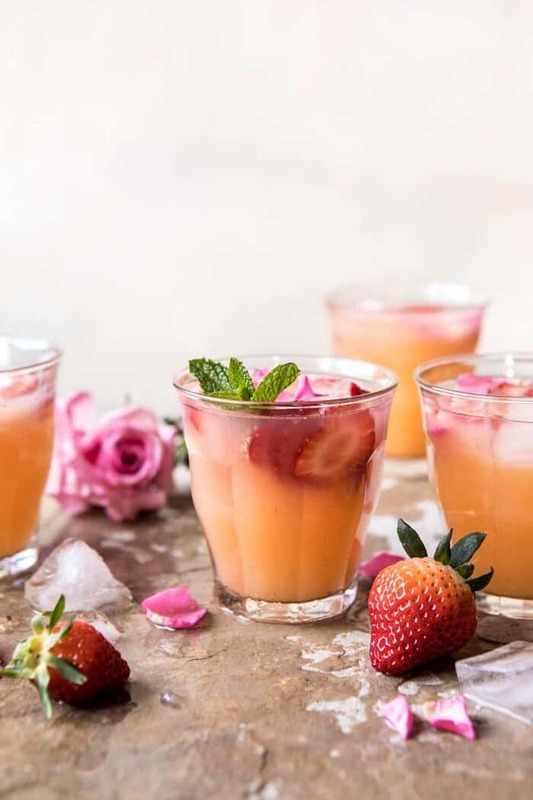 Tropical Strawberry Hibiscus Rum Smash. More nonalcoholic beverage recipes please!! What a beautiful drink! I love strawberries too! Really looks like spring time, I will try your alcohol free verison. Looks really good. Sublime pictures. 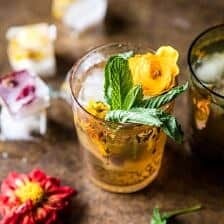 Such a delicious looking cocktails for the coming warm days. Love that you used tropicana, love it. 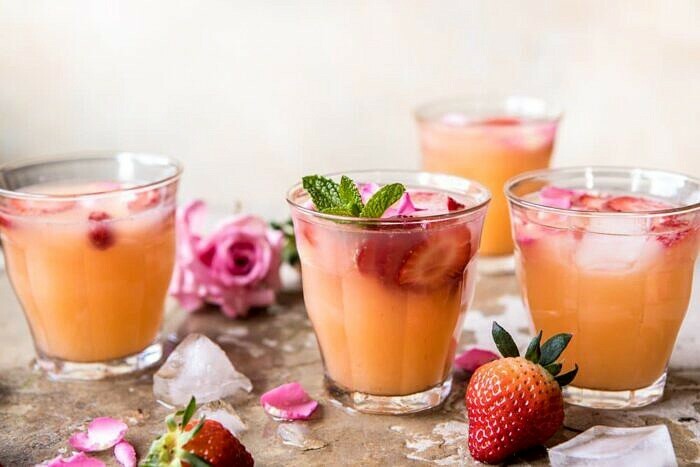 Such a delicious looking cocktails for the coming warm days. Love that you used tropicana, love it. Such a beautiful drinks for hot weather here. Pinned and will try to make it soon. Thanks so much! This kind of soft drinks are like life line in summer season in India. The mixture of orange and strawberry made this extraordinary. I would definitely try this. Thanks for sharing such a wonderful recipe..
That is so great! I hope you love these Monika! Thank you! 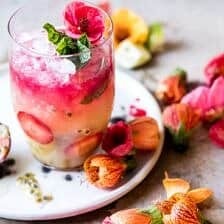 Love strawberry cocktail excellent article. Everything here is just top notch,The information is absolutely amazing. I love these coolers for spring, and these would be perfect for Mother’s Day brunch! Thank you!! So glad you like these! Hi Teighan! If I was going to just put everything in a pitcher, how much sparkling water would you use? Can’t wait to try this!